It was very emotional for me to meet with all those Famagusta refugees, tell them my personal narrative regarding our home town, sharing our experiences and hoping for a solution. I like to thank for all those beautiful people for their kind words who spend time with me after my presentation. On 21 February 2014 the Hellenic Observatory attracted much local interest in its half-day conference, ‘Reviving Famagusta: From Ghost Town to Eco-City?’ There was an overflow crowd eager to learn about recent projects and plans for the future of the ghost town of Varosha and the entire Famagusta area. With the island’s division in 1974, approximately 35,000 Greek Cypriots fled from the Famagusta area, and the town of Varosha was surrounded by barbed wire and occupied by Turkish troops. Recently, however, Turkish Cypriots living in Famagusta have joined with displaced Greek Cypriots to demand the opening of Varosha under UN supervision, the return of property to its legal owners, the opening of Famagusta port under EU supervision, and the listing of the walled city as a UNESCO heritage site. Moreover, numerous bi-communal projects have begun to plan for the revival of the city. The conference brought together Greek Cypriots and Turkish Cypriots involved in these initiatives with academics working on eco-cities and divided cities to discuss how we might imagine a reunited and revitalised Famagusta. 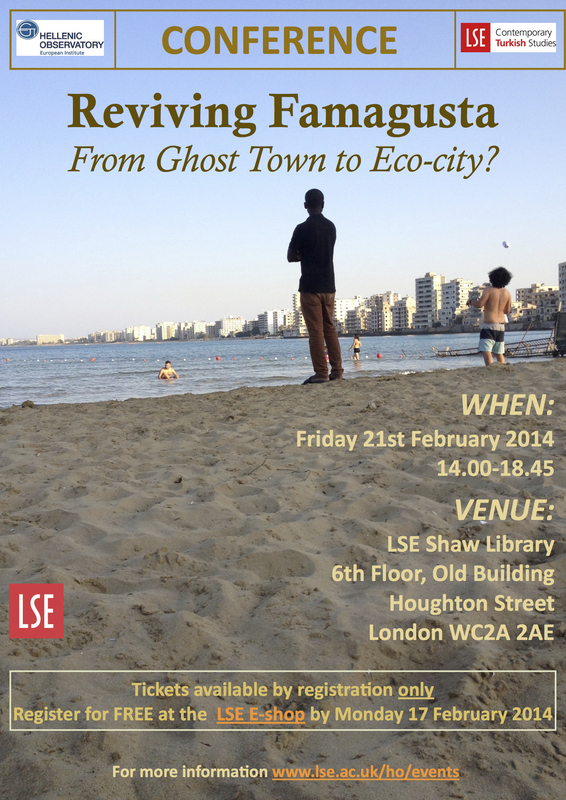 Ideas and proposals on reviving Famagusta as well as an evaluation of the challenges and the social repercussions of such an endeavour were discussed during a conference organised at the London School of Economics on Friday afternoon by the university`s Hellenic Observatory and the Contemporary Turkish Studies department. 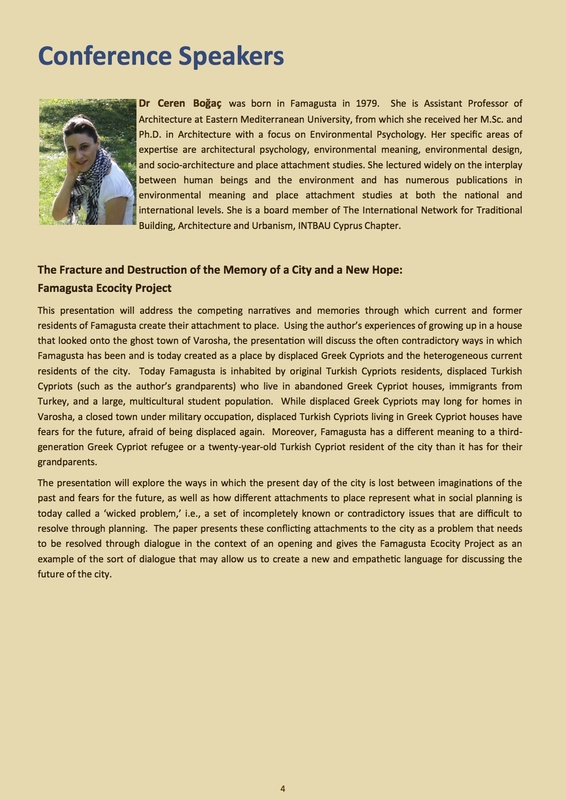 The conference, entitled ‘Reviving Famagusta: From Ghost Town to Eco-city?’ initially examined the technical aspect of the idea, in terms of planning and also with regard to the proposal to redevelop Famagusta as an eco-city. As the coordinator of the conference, Dr Rebecca Bryant of the Hellenic Observatory said in her introduction, the idea for the timely conference came from a recent poll among Turkish Cypriots conducted by the Famagusta Initiative which showed that 73% of them were supporting the return of the town to its lawful inhabitants.